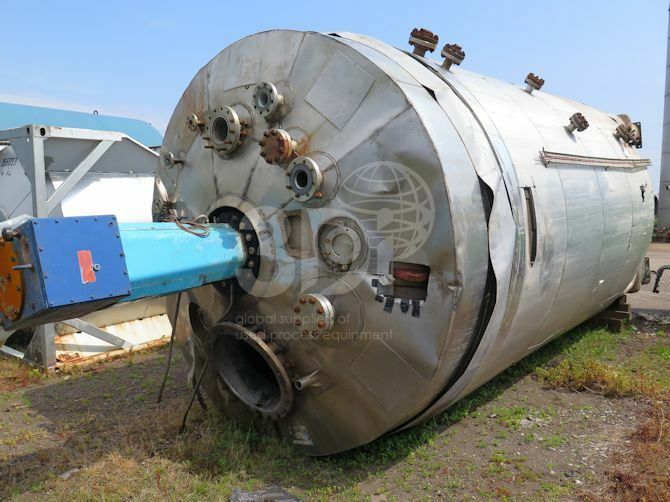 Used 27,000 Litre 316 Stainless Steel Reactor, manufactured by Websters, 1989. Orientation: vertical cylindrical dished bottom and top. Dimensions: 2650mm diameter, 4000mm on the straight. 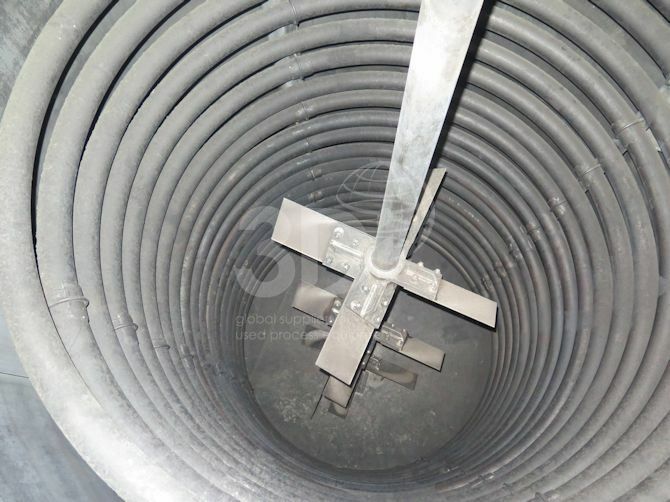 Design code: BS5500:1988 Cat 1, design pressure 12.5bar/FV, design temp 350degC, internal and limpet coil design pressure 7.5barg, design temp 350degC. 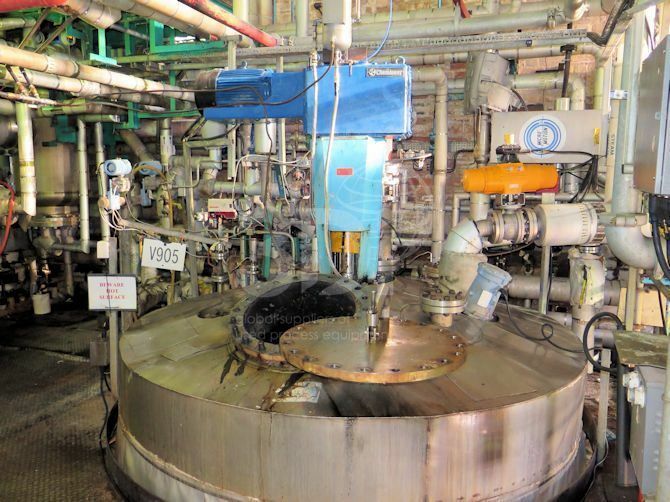 Reactor is supported by (4) steel legs. Complete with a top mounted 22kw Chemineer triple flighted 4 blade turbine agitator, internal coils and limpet coil jacket. Previously used in polymer.